responsibility for discrepancies due to computer monitor settings. 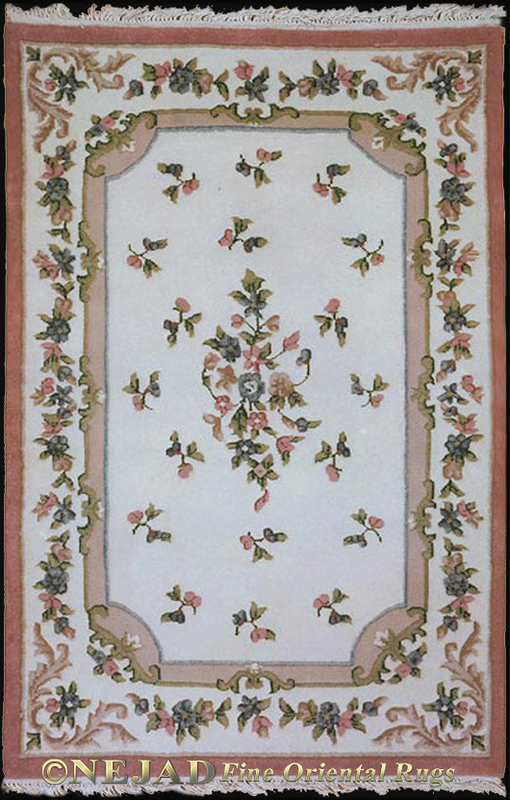 The French Country Collection offers timeless beauty and charm in soft beautiful color palettes. Each rug is skillfully hand knotted in India in 100% wool pile and cotton warp and weft.